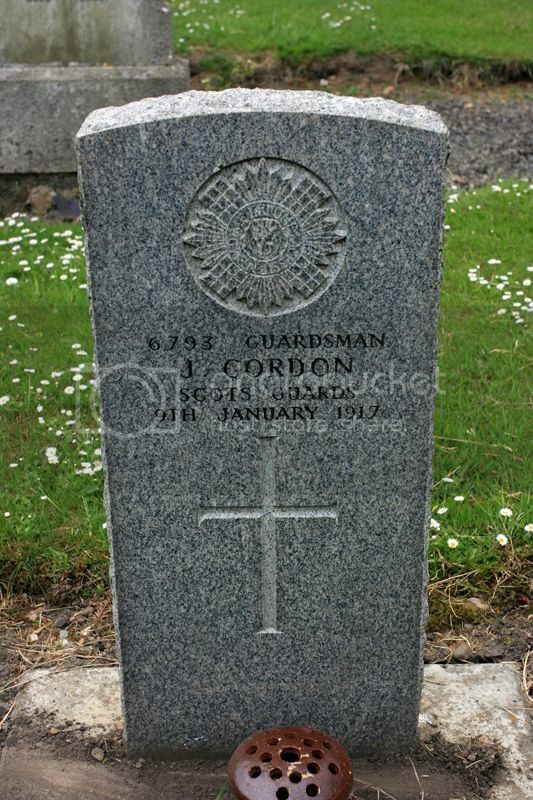 The Scottish War Graves Project :: View topic - Ormiston Old Churchyard, East Lothian. Ormiston Old Churchyard, East Lothian. Posted: Fri Apr 04, 2014 2:52 pm Post subject: Ormiston Old Churchyard, East Lothian. There are two cemeteries here and the older cemetery is marked on Google Maps as West Byres Cemetery. The CWG site lists entries under Ormiston Cemetery and Ormiston Old Churchyard. There are no listings under West Byres Cemetery. To reach both these cemeteries from Ormiston take the B6371 and turn right at the T section crossroads to follow the A6093. The second opening on the left is the one you want, but be careful, the cemetery is about 100 - 200 yards from the turning, up a small hill which is just past/on a bend in the road. There is only a small "parking area" outside the newer cemetery. The older cemetery is across the road. Both the old and the new cemeteries are well kept and tidy. The newer is very open and flat with a slight dip to one side. The older cemetery has some ruins of former buildings. Additional Information: Son of James and Bella Lusk of 18 Meadowbank, Ormiston, East Lothian. 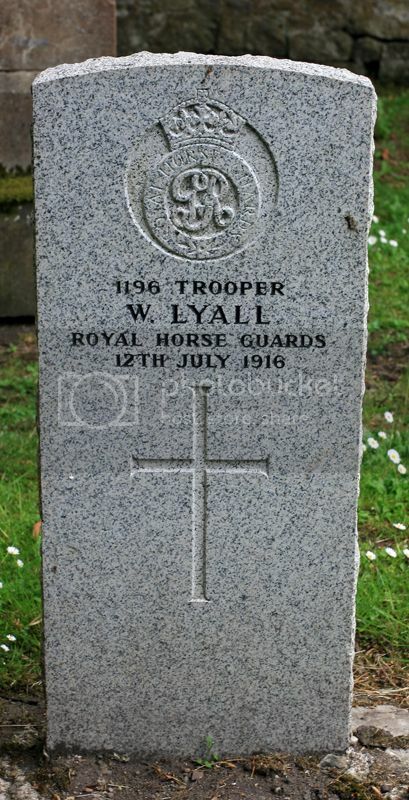 Additional Information: Son of James and Margaret Lyall of Redside, North Berwick, East Lothian. 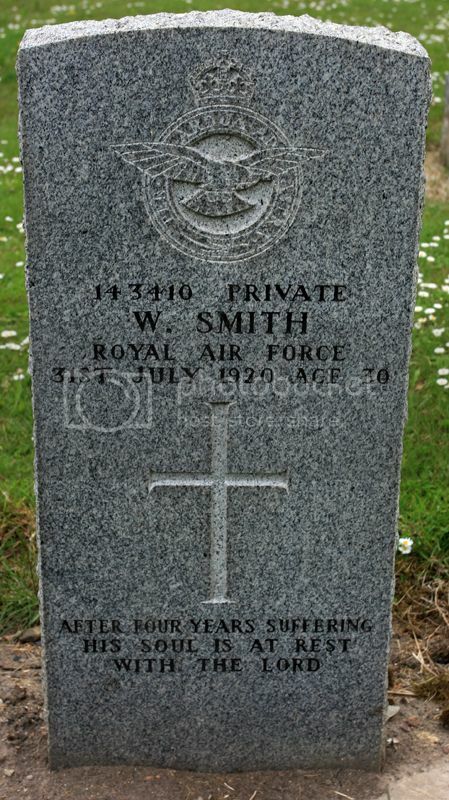 Additional Information: Son of John Smith of "Presant", Broomrigg, Pencaitland, Haddingtonshire; Born in Elphinstone, Tranent, East Lothian. 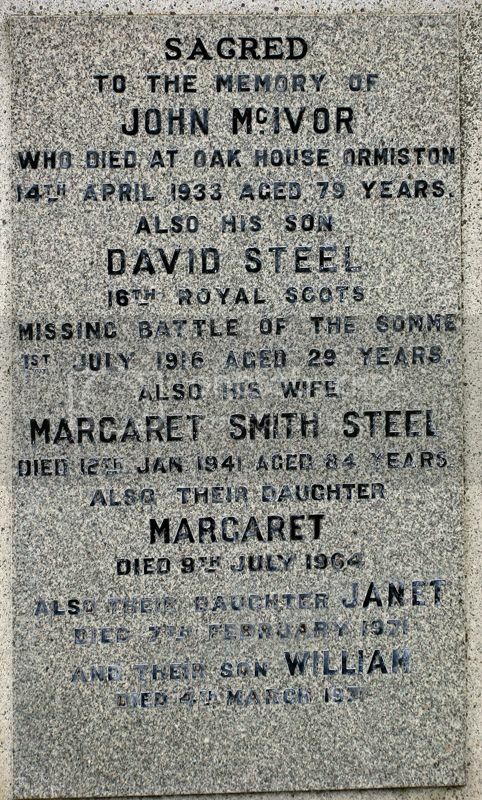 Additional Information: Son of John and Margaret Steele McIvor of Oakhouse, Ormiston, East Lothian. Unit: "D" Bty. 187th Bde. Grave Reference: I. C. 60. 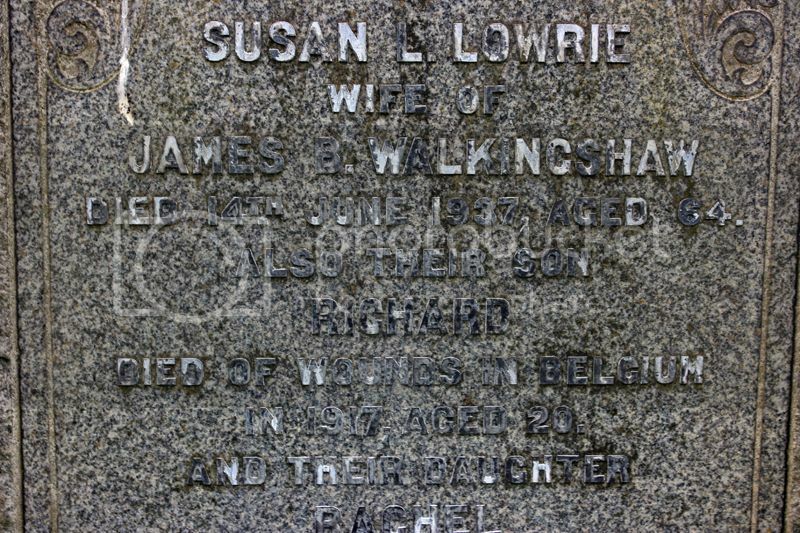 Additional Information: Son of James and Susan Walkingshaw of Co-operative Buildings, Ormiston, East Lothian. Grave Reference: 11. D. 23. Cemetery: Knightsbridge War Cemetery, Acroma, Libya. 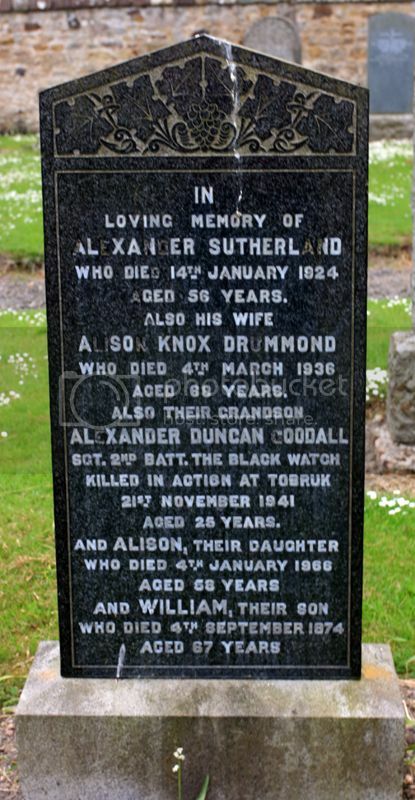 Additional Information: Son of Duncan S. Goodall and Margaret Goodall of Dalkeith, Midlothian.